We are a leading Wholesale Trader of zebra zxp series 3 dual side card printer, zxp series printer ribbon and zebra is and in series ribbon from Lucknow, India. Reliable and easy to use, the Zebra Zxp Series 3 Dual Side Card Printer is everything you could want in a professional card printer. The ZXP Series 3 is an ideal solution for low- to medium-volume single or dual-sided printing applications that require minimal operator training and excellent print quality. ZXP Series 3 printers offer advanced features and high capacity media options. 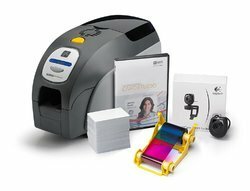 Zebra’s ZXP Series 3 direct-to-card printer provides an array of features, outstanding print quality, and a low cost of ownership. The ZXP Series 3 offers a wide range of high capacity ribbon options, along with the capability to select the card thickness that is right for the application. And, when paired with Zebra’s eco-friendly media, the ZXP Series 3 is the most cost-effective printing solution in its class. The ZXP Series 3 offers vivid, high-quality full color and monochrome printing on single- or dual-sided cards. Operating the ZXP Series 3 is simplified with an intuitive design, color touch points, and quick-replace higher capacity LoadN-Go™ smart ribbons, which are now eco-friendly using less plastic and more biodegradable material. Zebra’s ZRaster™ host-based image processing technology enables high speed printing— without sacrificing image quality. 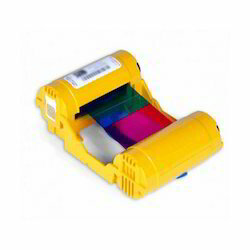 With immense market knowledge, we have been able to provide optimum quality ZXP Series Printer ribbon. High-performance wax/resin thermal transfer ribbon for coated paper and matte synthetics. Formulated to provide good resistance to scratches, smears and most moderate chemicals. 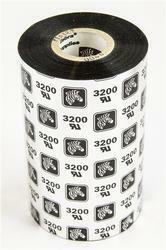 UL/cUL & CSA recognized with select Zebra materials.